You read the title, and you think we are going mad. It only seems like yesterday that we were hooking up the Commodore Amiga looking forward to playing a game of Cannon Fodder, or enjoying the fun and frolics that the little blue hedgehog Sonic brought to us via the Sega Megadrive. It now looks as though we have gone into innovation overdrive as we sit in the privileged position of being the generation of people at the forefront of technological advances. 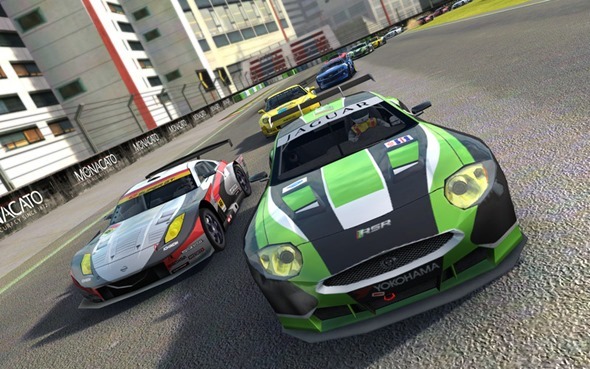 I recently wrote an article about the development company Firemint releasing the most recent iteration of their popular racing franchise Real Racing onto the Mac App Store after enjoying phenomenal success on iOS devices. A small part of that article briefly mentioned the new and innovative control system which is an optional control mechanism built into the game. If you are like me then you would assume that you would be required to download an additional iOS application to use in conjunction with this game. Or worse still, download the iOS version of the game which would then somehow connect to the Mac version enabling you to control the vehicles on screen. Well it turns out that this is not the case. User feedback also indicates that this system is extremely responsive and adds an extra, exciting dimension to the game. The use of the iPhone, iPad or iPod touch as a controller can be likened to use a Wii type controller as the system is motion based using the devices built in sensors. This isn’t the first time that the developers have pushed the limits of what users have thought was possible when it comes to the Real Racing franchise. The iOS version of the game impressed heavily with it’s polished AirPlay mirroring features allowing iOS 5 users to local multiplayer games with up to four people on a large screen. Firemint have also recently been purchased by gaming giant Electronic Arts and with that kind of power behind them future versions should feature some further groundbreaking features. 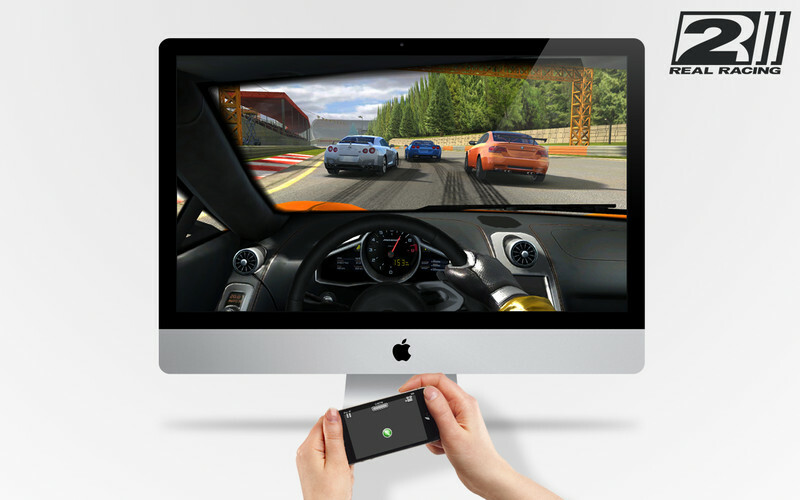 Real Racing 2, as previously reported, is available via the Mac App Store for $12.99 and delivers high definition, fast paced racing using the full power of your Mac. Check out the video below put together by MRiOSdevices of the whole rig in action, looks slick doesn’t it?